W. W. Norton & Company, 9780393339178, 348pp. 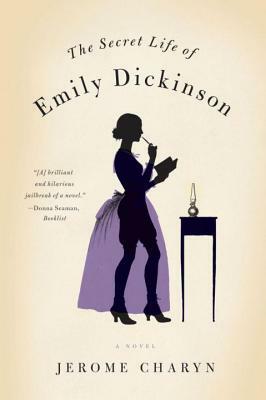 Jerome Charyn, "one of the most important writers in American literature" (Michael Chabon), continues his exploration of American history through fiction with The Secret Life of Emily Dickinson, hailed by prize-winning literary historian Brenda Wineapple as a "breathtaking high-wire act of ventriloquism." Channeling the devilish rhythms and ghosts of a seemingly buried literary past, Charyn removes the mysterious veils that have long enshrouded Dickinson, revealing her passions, inner turmoil, and powerful sexuality. The novel, daringly written in first person, begins in the snow. It's 1848, and Emily is a student at Mount Holyoke, with its mournful headmistress and strict, strict rules. Inspired by her letters and poetry, Charyn goes on to capture the occasionally comic, always fevered, ultimately tragic story of her life-from defiant Holyoke seminarian to dying recluse.